Sonel’s newest theme for her Black and White Challenge series is the word “Abstract”. I really like how these simple shades of black and white accentuate the abstract, natural shapes in this sea star and driftwood stump in the San Juan Islands. That star fish is creepy in black and white… I love the driftwood contrasts, there is such a flow to the angles and shapes. Thank you. 🙂 Both of them were ok (nothing great) in color but the details are so much clearer in b&w! I really like the sea star. Thanks! It is purple on bright green seaweed but the details are lost with such intense colors. I’m happy I gave it a second chance. Wow, that sounds like and explosion of color!, it works really well as a black and white. These are lovely. 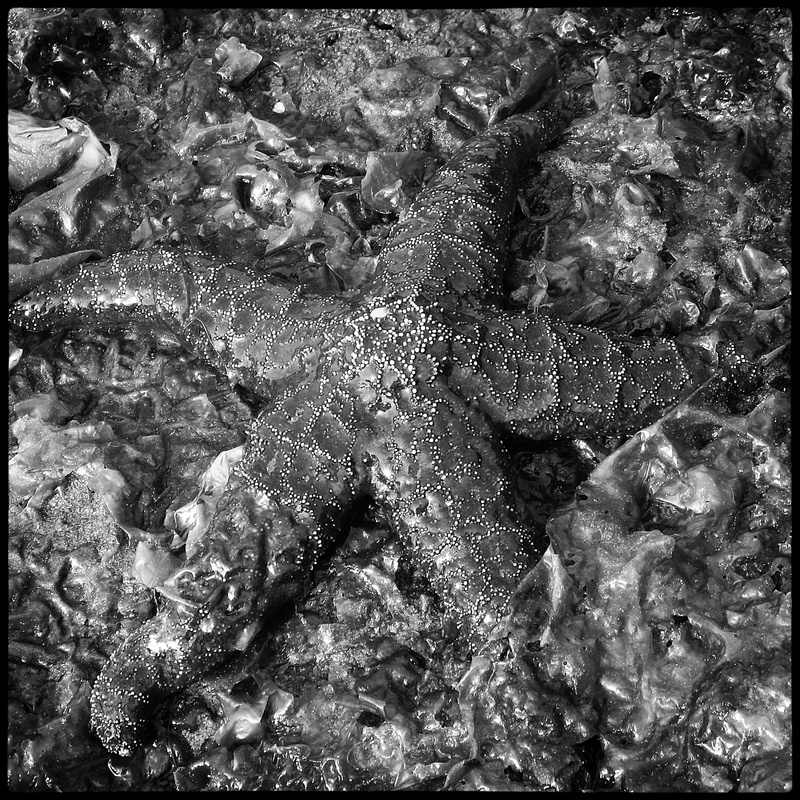 It’s a real challenge to capture a starfish in b&w and you have. Well done! Great shots. The driftwood stump is awesome! You nailed this interpretation for this challenge! Amazing shots! Hello there, first visit to your blog and wow, I loved the first photo so much! Talk about abstract, you nailed it. Nice to bump into you in this WordPress Community, I am kind of new here. Oh thank you so much for that, Lisa! And I am enjoying the community so far. I am finding great things here. HFor how long have you blogged so far? You’re 6 months ahead of me 😀 looking forward to reading more of your posts, and thank you so much for following! the patterns on the starfish stands out. great photos ! Thanks for letting me know you like them! The starfish is amazing!!! Both photos are stunning. I’m just inspired to take better pictures!! Thanks!! Thank:) I love hearing feedback and appreciate your comments! Keep taking pictures! You’re welcome!! I sure will!! I have become addicted to challenges. 🙂 I think they are so much fun. And it’s interesting to see everyone’s submission. Great lines and textures in the driftwood, nicely abstract. The starfish is like something out of a dark Sci-fi film! Thanks Sue! The starfish does look kind of creepy. 🙂 My guys love old sci-fi films – I should have made the connection! Thanks for sharing your comment and thank you for visiting my page! interesting structures in the driftwood stump! Nature’s art is always better than man’s – she has the knack. I agree. 🙂 Thanks for sharing your comment! 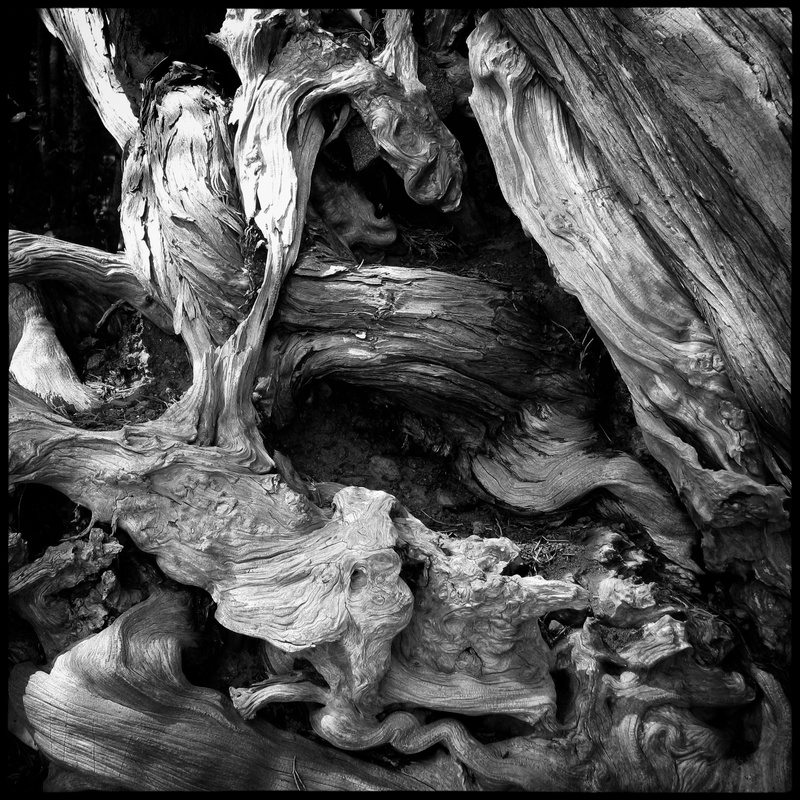 Ancient roots in black and white…awesome!